TV STAR SANGOMA Busi finally listened to the ancestors’ call. 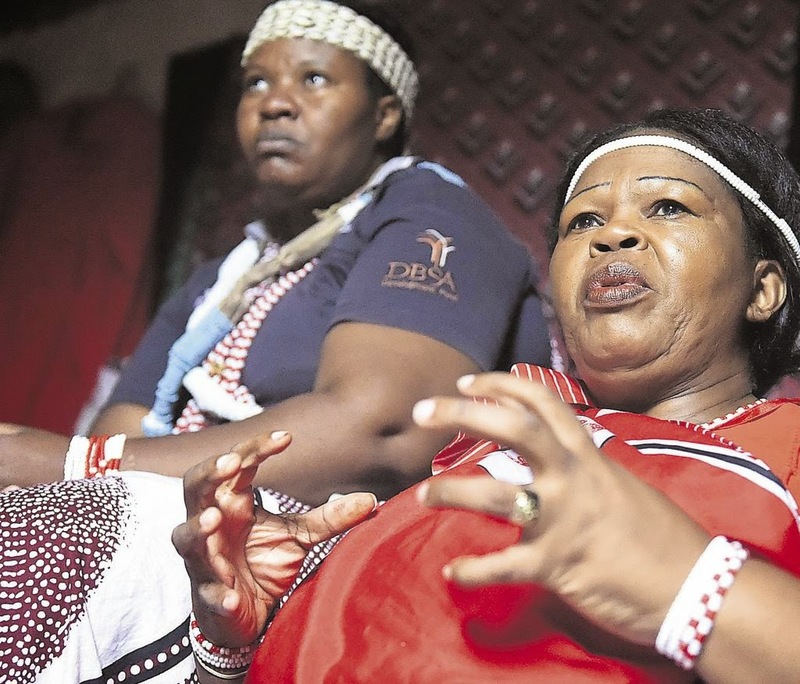 Home Trending News TV STAR SANGOMA Busi finally listened to the ancestors’ call. SHE’s been around the world, entertaining people with her acting. And in Mzansi, she is well known for playing Beatrice in Generations. But recently, Busi Zokufa took on the biggest role of her life – becoming a sangoma! Busi told Daily Sun after suffering for a long time, she finally accepted her ancestors’ call to become a sangoma and now she is doing it with pride. Busi Zokufa, popularly known as Beatrice from Generations, sits with her gobela Dubula Manzi. Busi said she went to thwasa in 2008. “I used to suffer a lot,” she said while talking about how she ate her script papers and had bad dreams every night. Then she suffered a spinal cord disc dislocation while acting on stage in Cape Town. “I couldn’t walk or perform and was in a wheelchair for over a month. “I was healed by my ancestors, who told me to boil water, put it in a bottle and place it where I had pain. “That was the last time I suffered from the pain. I knew I had to listen to them and I went to thwasa,” she told the People’s Paper. She graduated earlier this year and is currently undergoing further training at sangoma Dubula Manzi’s house in Greenfield, near Thokoza, Ekurhuleni. Busi said when she finished, she would go back to her home province of the Eastern Cape so she could help people. She first moved to Joburg in 1982 to become a singer but switched to acting. She joined the cast of Generations in 2011. She said she would continue with her theatre work in the future.